Finally, Renée is where she belongs: sandwiched between Captain America and Harry Potter! 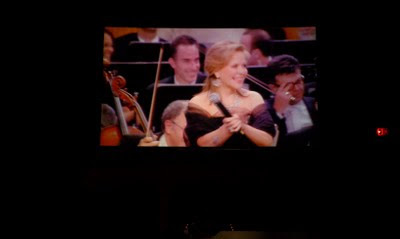 Broadcasted into movie theatres via Fathom Events, Renée Fleming and Joseph Calleja appeared in concert with the Israel Philharmonic Orchestra last night. 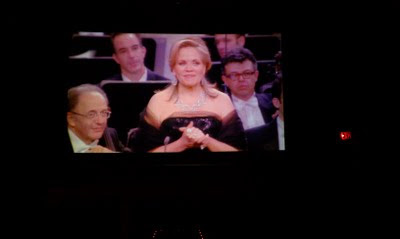 The performance of Renée Fleming was made possible by the Richard Tucker Music Foundation and the Tucker family, as a tribute to Richard Tucker - great American tenor, renowned Cantor and devoted friend of Israel. Renée was the recipient of the annual Richard Tucker Award in 1990. As you know, I'm a great fan of the Richard Tucker Gala, which will take place this year on November 6th. We saw the film, which was billed as live, but obviously with the time difference was not live, at the Regal in Union Square. It was interesting to see the ICC International Convention Center in Jerusalem, which didn't seem quite full although the audience was clearly enthusiastic, right down to that rhythmic clapping that I've heard in Paris. Renée looked gorgeous, first in a hot pink satin dress. Her second dress was a bodice of large black sequins and and a very full skirt of red satin covered in black tulle. 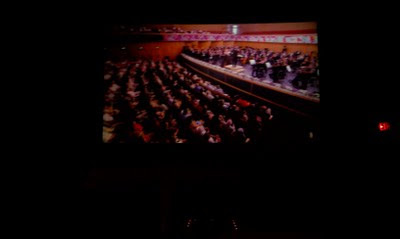 Joseph Calleja, conductor Maestro Zubin Mehta and all the gentlemen of the orchestra were in white tie and tails. Ladies of the orchestra wore variations of black evening wear. Joseph Calleja has a gorgeous, full tenor voice. He has a commanding and relaxed presence, especially with this repertoir. (Sally noted that she liked his voice better than Bobby Alagna's, but I'm not certain he would kiss as well.) He was particularly wonderful on "E lucevan le Stelle" from Puccini's Tosca. Renée was wonderful as well. I love that she included the "Jewel Song" from Gounod's Faust, and especially "J’ai versé le poison dans cette coupe d’or" from Massenet' Cléopâtre. The latter was stunning. The biggest event of the evening was Renée and Joseph's Duet from Act I of Puccini's Madama Butterfly. Renée tweeted that this was her first ever performance of this duet. Butterfly is one of my favorites and it was fabulous to hear Renée and Joseph's voices on this piece - so gorgeous. Renée encored with "Hallelujah" (on microphone) and Puccini's "O Mio Babbino Caro." 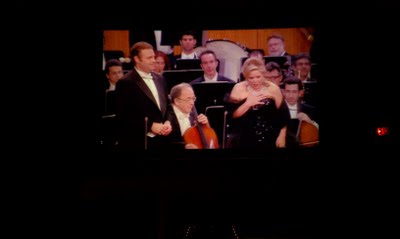 Joseph joined Renée on "The Brindisi" from La Traviata, which is always a blast. This event, and those like it, are such a treat to fans of live classical performance. I long to travel the world and see as many live performances of classical music (and opera and musical theatre) as possible, but this is a wonderful substitution until the day I finally board that plane. 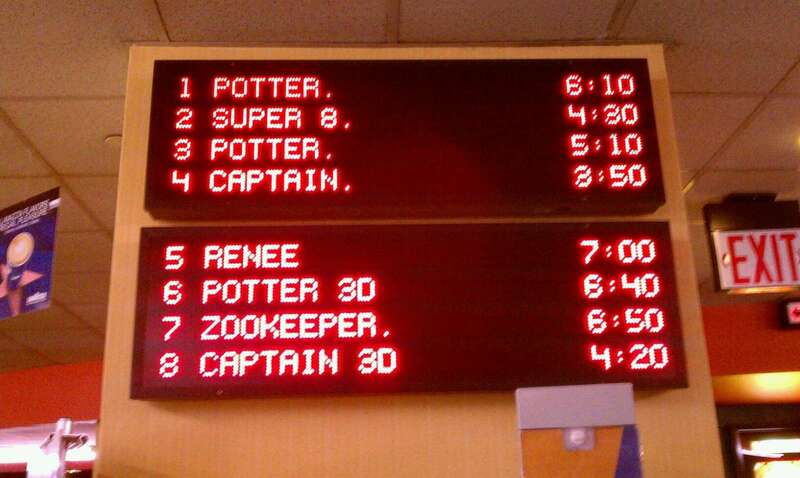 wow!I wish my movie theater had feature films like that!